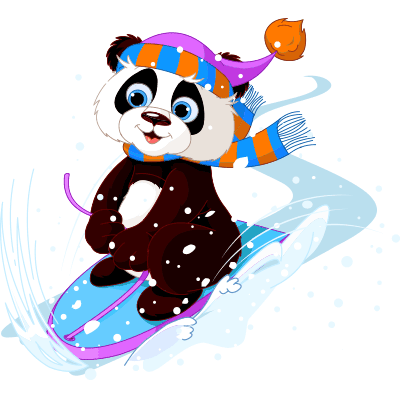 This panda bear has decided to hit the slopes and ramp up its winter sport action. If you're off to the mountains for a ski vacation, you can add this eye-catching image to your status update for extra fun. Images like this can help you express yourself with flair. Try it out today; sharing is free and fun.